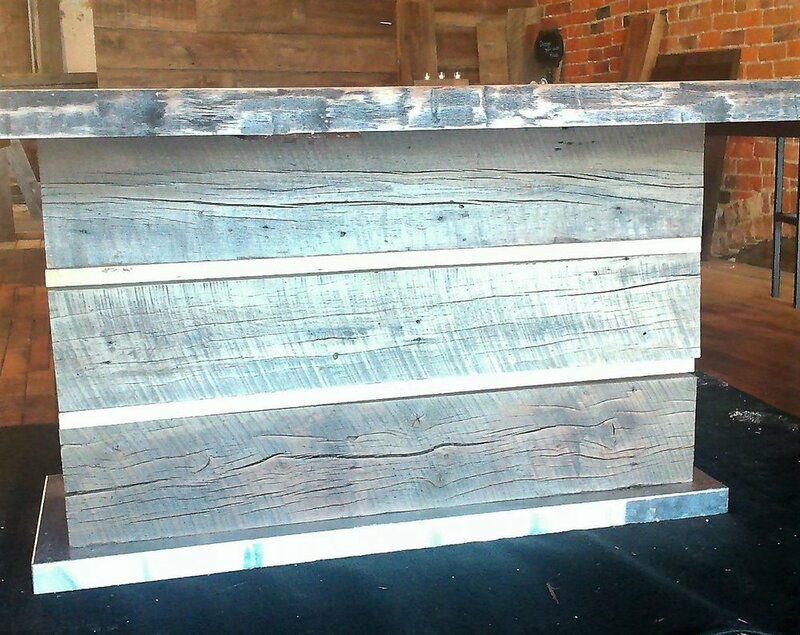 Custom made farm tables are created using authentic reclaimed lumber from historic barns in central Indiana. The antique wood allows us to create tables with wood and steel bases that will last a lifetime. 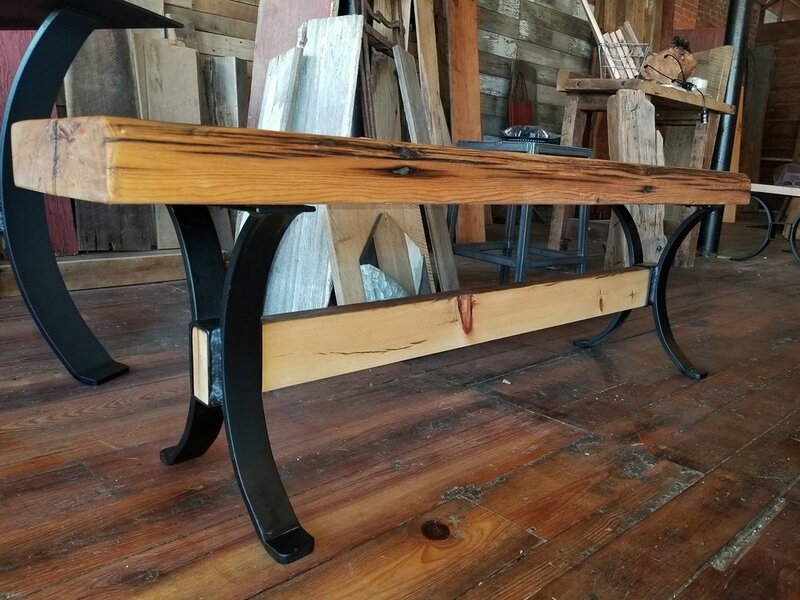 This beautiful piece allowed us to incorporate some of the customer's grandfather's reclaimed lumber as well as our own.